from my Alegria collection for Cloud9 Fabrics. 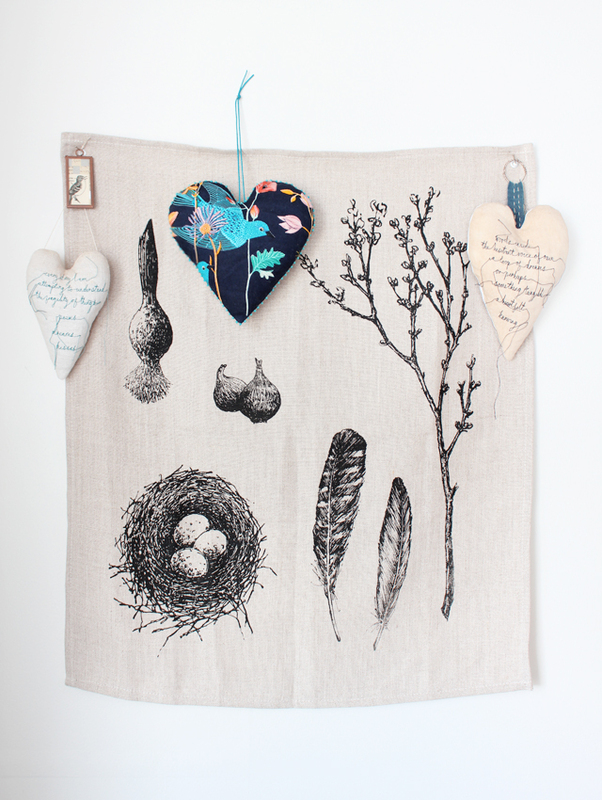 Background is beautiful spring poster on linen from Bookhou. 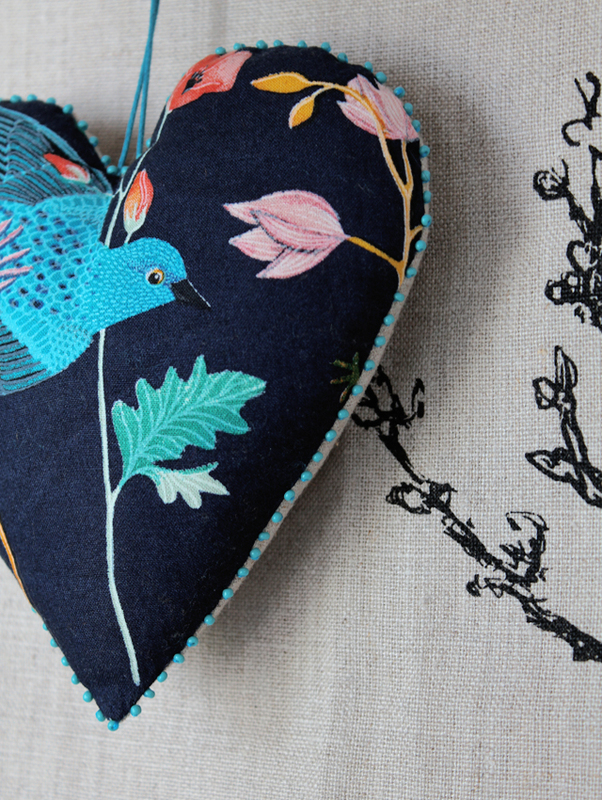 The lovely poetry embroidered hearts were made by Cathy Cullis.